This multifaceted new space in an old mill couples the drop-in spirit of a pub with the food of a more polished eatery. 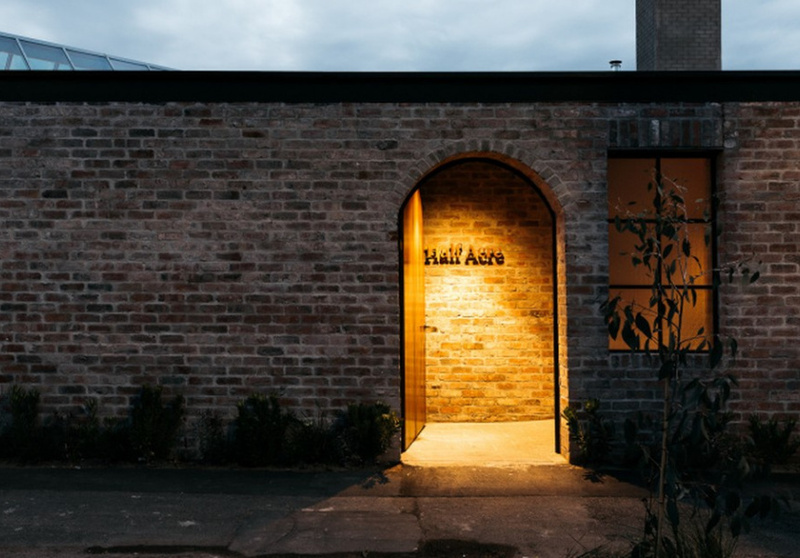 From the street, it’s hard to tell if Half Acre is open, let alone what it does. 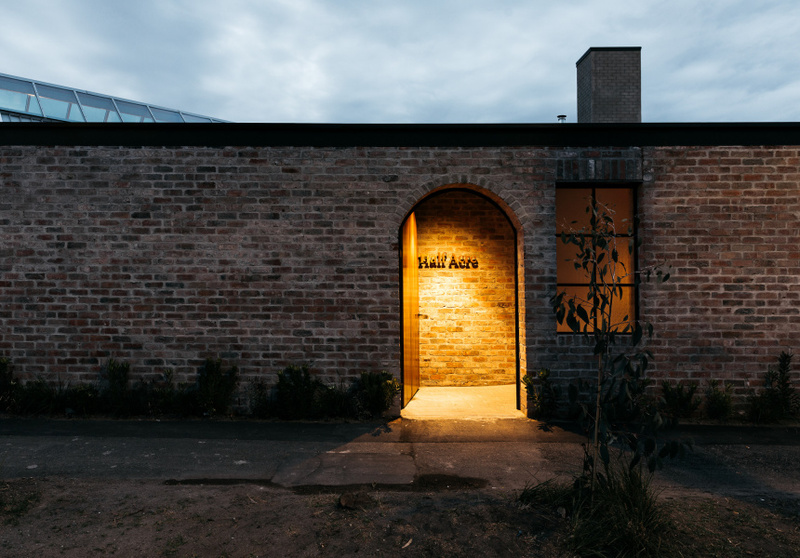 The naked brick facade offers just two hints: an arched, illuminated entrance and a gabled glass roof behind it. And maybe, depending on the time, the burble of happy conversation emanating from beyond. The multifaceted space combines the drop-in spirit of a pub with the atmosphere and food of a restaurant. 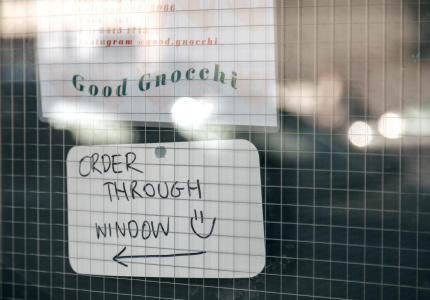 “It’s for everyone to do anything, any time,” says co-owner Adam Wright-Smith. 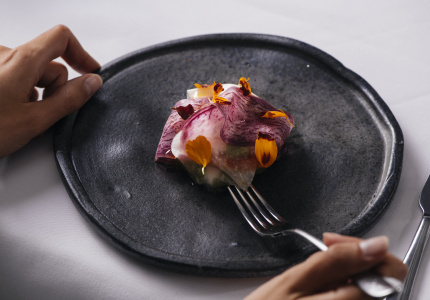 His partners are Asaf Smoli and Leigh Worcester, the experienced duo behind popular function venues Carousel, Aerial, Harbour Room and White Lane. 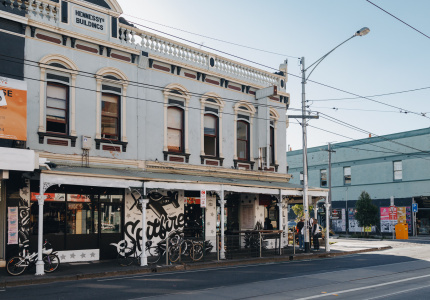 Step through the brick curtain and you’re in a lively public bar and courtyard, where groups chat over pots of Carlton Draught and easy-drinking beers from 2 Brothers. Beyond that, there’s an 85-seat restaurant informally named the Glass House in reference to that big, light-diffusing roof. 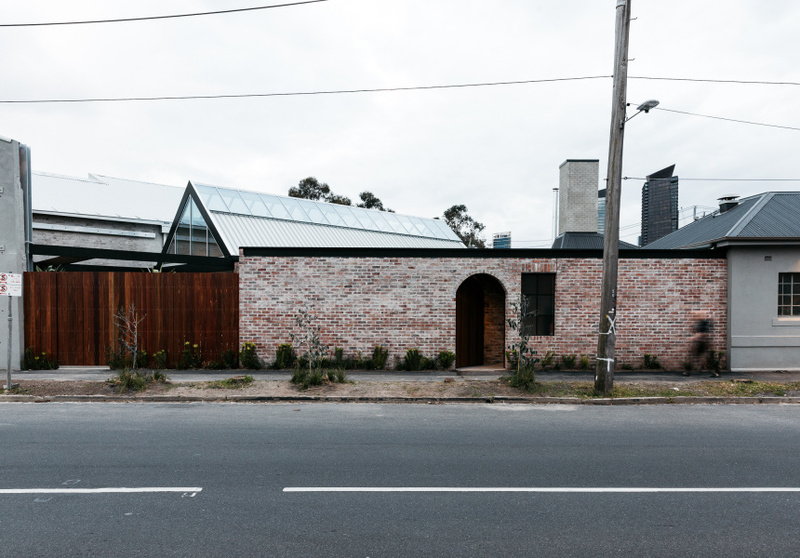 The Chimney House is an intimate 16-seat private dining room connecting the two. Much like Fred’s and Chiswick in Sydney, the space feels like a friend’s dinner party. Sculptural light fixtures hand-made by designers Henry Wilson and Anna Charlesworth glow from the walls. 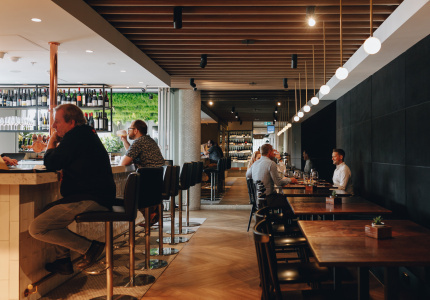 The floor is reclaimed decking, chairs are bentwood and wicker, and spare tableware is stacked under a huge island bench where chefs put the finishing touches on woodfired pizzas, grilled king prawns, whole barramundi and steaks. Behind them, meat and vegetables sizzle and pop in two blackened hearths. The influence of British designer Ilse Crawford is clear. Head chef Eitan Doron hails from Tel Aviv and previously owned The Deli Counter, a cafe in the CBD. Those hearths mean he’s doing lots of cooking over open coals, but in a more homely way than you’d find at places such as Ramblr or Lesa. 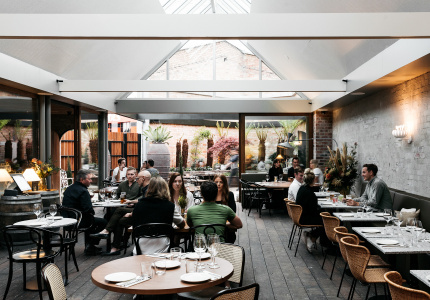 The food is comforting and familiar, whether you’re taking home a classic margherita, or sitting in for half a chicken with morels and oyster mushrooms, and a glass of Clare Valley riesling. Doron also pays plenty of attention to vegetables. “Everyone talks about farm to table, but all vegetables come from a farm,” Wright-Smith says. “It’s really how you champion that one ingredient by using as much of it as possible.” He got onto this idea as a partner and head of operations at the Fat Radish in New York, a downtown New York diner that merged British comfort food with a farm-to-table ethos. One dish at Half Acre, for example, sees pumpkin roasted and served with its own spiced seeds, blood orange and thyme. Another is roasted cauliflower paired with dukkah and tahini – a nod to Doron’s Israeli background. Smoli and Worcester’s main involvement here is running the 250-person events space next door, which has already screened the footy and hosted a wedding. Its gorgeous rafters and Oregon pine ceilings date back to when the site was a mill, and inspired Half Acre’s rustic concept. There’s a bit of everything, really. So maybe that mysterious facade does say something: that Half Acre is a blank slate, ready for whatever use you need. Disclosure: Adam Wright-Smith's partner is Broadsheet editorial director Katya Wachtel.